Merrow Innovation Makes Local News! 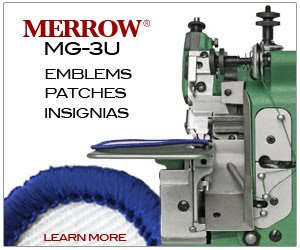 - Merrow Sewing Machine Co.
Merrow Innovation Makes Local News! According to the Patriot Ledger, Merrow is leveraging an innovative marketing campaign based on microsites. WAREHAM - Merrow Sewing Machine Co.’s customers range from lingerie designers to fishing net manufacturers and hail from 85 countries. Founded in 1838, the longtime Connecticut company moved to Wareham in 2004 when it was purchased by Charlie and Owen Merrow, descendents of the company’s founder. Since then Charlie Merrow, the company’s CEO, has focused on developing new ways to sell its sewing machines, which are capable of producing more than 6,000 different stitches. Marketing to such a diverse constituency calls for a strategy just as nuanced as the myriad industries to which the company sells. Merrow believes he has found just such a strategy in what are known as microsites. A microsite is a Web site, with a separate URL address than a corporation’s main Web site, that is geared toward marketing a particular product or service. They are generally simple to navigate and some try to be entertaining. ‘‘What microsites allow us to do is communicate very specific solutions to very specific customers within the industry,’’ Merrow said. Merrow launched its first microsite in June and now has six unique English sites, four of which also have been translated into Spanish. Their content features close-up photos of stitches, videos, blogs, podcasts and, of course, basic information on how to buy the machine that makes the featured stitch. While microsites have grown in popularity since their inception in the late 1990s, experts say companies engaged in business-to-business marketing have been generally slow to embrace it. Hanekamp is a fervent advocate of microsites, so much that he blogs about them on his Web site Microsite.com. While he said he was unfamiliar with Merrow’s sites, he called its use of microsites ‘‘an exception’’ in the business-to-business marketing industry and said he expects more companies to follow suit. ‘‘The trends are clear, people are moving online and online presence is more important than ever before,’’ Hanekamp said. William Rice, president of the Hartford, Conn., Web Marketing Association, which annually hosts a competition recognizing the Internet’s most effective Web sites, said he had not heard of Merrow. 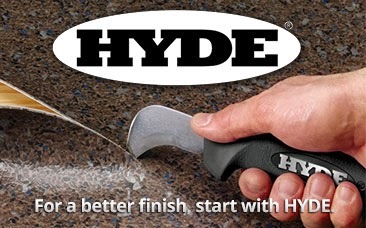 But Rice said the marketing tool is a natural fit for multi-niche manufacturers like Merrow. Merrow said the microsite strategy has already begun to deliver - as much as doubling sales for some of the machines featured on the sites. Encouraged, the company has set up a department devoted to creating new sites.